A silk rug can add elegance and style to your home, but only when it’s clean and vibrant. Even though a grubby or soiled silk rug might be an eyesore, we don’t recommend you attempt to clean your valuable silk rug at home. 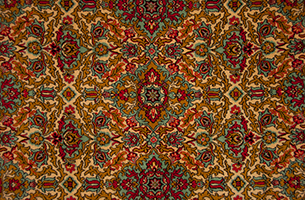 Bedrosian can restore the beauty and luster of your rug. What does a professional silk rug cleaning imply? 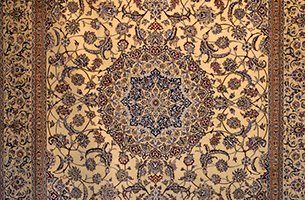 Granted, spot cleaning your silk rug with a cleaning solution occasionally is part of the maintenance process. However, these cleaning solutions are ineffective against deep dirt, pet stains and odor. Furthermore, these products may contain harsh chemicals that can damage the fibers. Buying a silk rug is an investment that can be enjoyed for generations if properly maintained. If you’re looking to add value and breathe new life into this timeless flooring covering, then Bedrosian is the right team for the job.